If you’re a fan of minimalist blog designs, then you’re going fall in love with this collection of the black and white Tumblr themes that we’ve handpicked just for you. Using minimal colors and leveraging lots of white space is a strategy many professional designers use to make beautiful websites that stand out from the crowd. Even if you’re creating a free website or a blog on Tumblr, you can use this same design technique to give a more professional look to your blog. The best way to give that classic and minimalist look to your Tumblr blog is to go back to basics and use a theme with black and white colors. These themes will give that same elegant and premium look that you see on luxury websites and high-performing blogs. We found some of the best black and white Tumblr themes you can use to achieve the perfect minimalist look with just a few clicks. 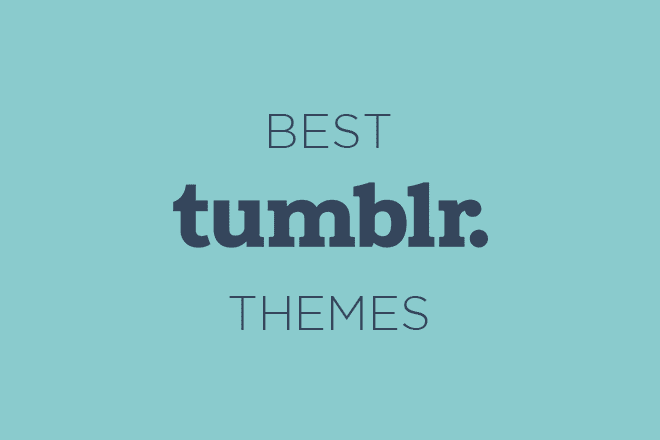 These themes are guaranteed to give your Tumblr blog a classic look. 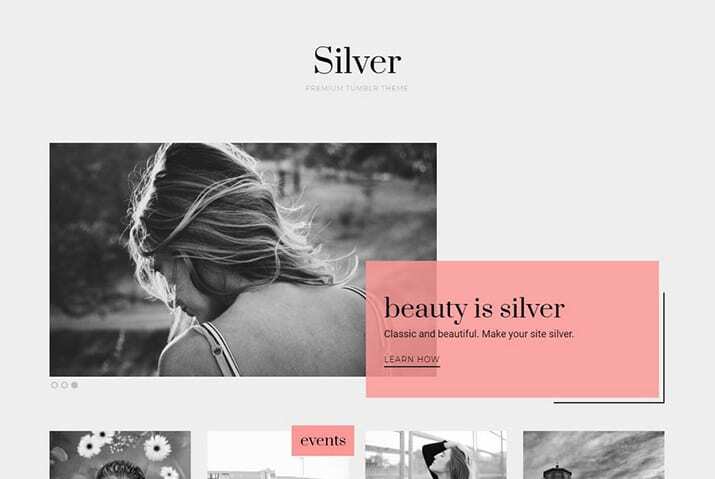 Silver is a stylish Tumblr theme made for building modern blogs and magazine-style websites. The theme is ideal for making blogs related to fashion, beauty, and travel. It comes with a layered post slider on the homepage, a featured categories section, unique designs for all post types, and a sidebar for including social feeds and other widgets. Blank is a black and white Tumblr blogging theme that comes with a classic design. This theme features a two-column layout and a featured post slider for showcasing your best post on the homepage. It also supports over 14 different widgets, including Instagram and Dribbble feed widgets. The theme is ideal for writers and personal bloggers. 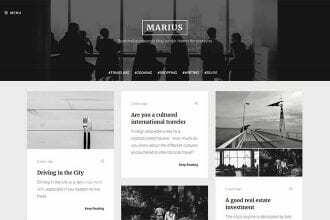 Marius is a modern blogging theme for Tumblr that you can also use to setup a creative portfolio website. It comes with a masonry grid post layout that takes advantage of screen space and includes a slide-out sidebar for including widgets and links. The minimal black and white design also give a premium to look this theme as well. StoneWall is a unique Tumblr theme made specifically for writers, personal bloggers, and journalists. The theme features a split-screen layout that makes browsing blog posts much easier. While the title is shown on one side of the screen the other side shows the blog post content, allowing users to keep scrolling to explore the blog. It also includes an overlay menu for quickly jumping to different posts as well. Fortune is a minimalist Tumblr theme that comes with a stylish black and white design. It features grid-based post layout featuring a fullscreen overlay menu for including links and tags. This theme is most suitable for setting up a portfolio website for creative professionals and artists. Ezra is a modern Tumblr theme featuring a black and white design. This theme comes with a full one-page website design that includes an effective header section where you can include a profile photo, description about yourself, links to social media, and your portfolio gallery in one place. 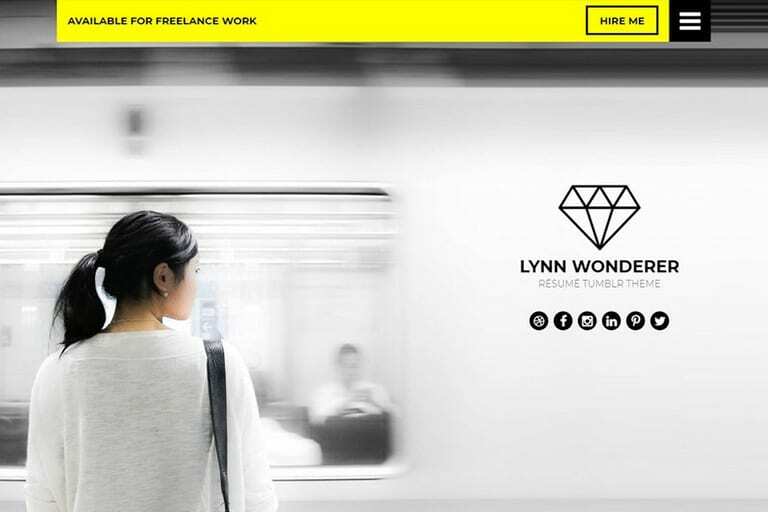 The theme is perfect for setting up a portfolio website for creatives. Ceres is a modern portfolio Tumblr theme that comes with a large fullscreen slider on the homepage, an about section with social media links, a unique portfolio section, and a header menu for including links and tags. The theme is ideal for setting up a portfolio website for creative professionals. Zakeea is a minimalist Tumblr blogging theme that comes with a very basic design. It includes a simple two-column design that gives more space to the post content area. The theme also features a sidebar with an about section, social feeds widgets, support for Disqus comments, and unlimited color options. Medium is a modern Tumblr portfolio theme that features a masonry grid layout with support for infinite scrolling. The theme includes more than 60 different options for customizing the design and allows you to integrate Disqus comments, Google Analytics, social feeds, and more. Norman Tumblr theme comes with a fully responsive design that features a classic grid-based design with minimal colors. The theme also lets you add a parallax effect to the cover section, integrate social feeds, Disqus comments, and much more. The theme is perfect for making a creative portfolio website. Thex is a unique Tumblr portfolio theme that comes with a creative hexagonal-shaped post layout. The theme also includes a header section with social media links for including an introduction and Disqus comments integration. If you’re not a fan of black and white designs, you can also customize the design choosing from 20 different colors. Visage is a unique Tumblr theme that’s ideal for making a website for a creative professional or an agency. It comes with many detailed sections which you can use to describe your skills and services. The theme also includes a portfolio gallery section and plenty of space for social media feeds and widgets. Knock is a beautifully minimalist Tumblr theme that comes with a clean layout for giving the most attention to your posts and images. The theme features a header section with an animated text title, a vertical menu on the left-hand side for including links and tags, and supports Google Fonts and infinite scrolling. Defiance is a personal blogging Tumblr theme that you can also use to make a portfolio website. The theme comes with a creative header section where you can include a short introduction about yourself with a call-to-action. It also features a unique post layout for showcasing content. You can also add a background image and add a tinted color to the background. Archon is a minimalist Tumblr portfolio theme that features a modern and elegant design. It comes with an attractive header section where you can include a call to action and has a slide-out menu for featuring links and category tags. The theme also features a grid-based post layout that properly highlights your content and unique post layouts for each post type. 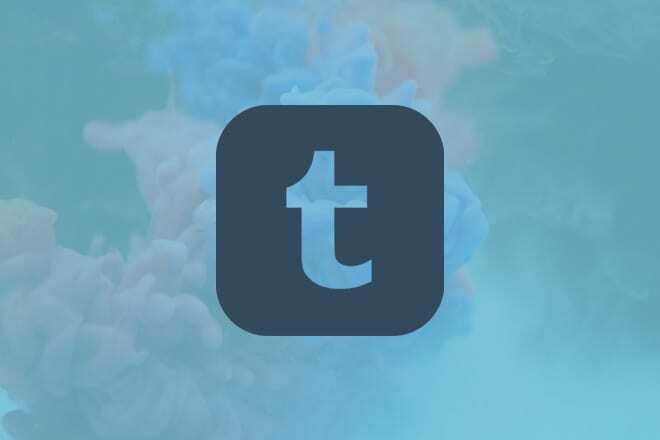 City Tumblr portfolio theme features an attractive design with a creative header section where you can also include a cover photo. The theme has a grid-based post layout that’s most suitable for making portfolio websites. It also includes infinite scrolling and integration with Disqus comments and Google Analytics. Raymond is a simple and basic Tumblr blogging theme that’s most suitable for setting up a personal blog on the microblogging platform. The theme features a minimalist design and comes with a sidebar that supports Twitter, Flickr, and Instagram widgets. You can also switch the position of the sidebar from right to left as well.